Now 70% off in our Outlet! A light, intensive treatment to hydrate the hair, leaving it smooth, shiny and full of body. Unlike heavy, polymer-based conditioners any surplus simply rinses away preventing any clogging residue. The wheat proteins and vitamins greatly reduce negative charges, eliminating fly-away hair. 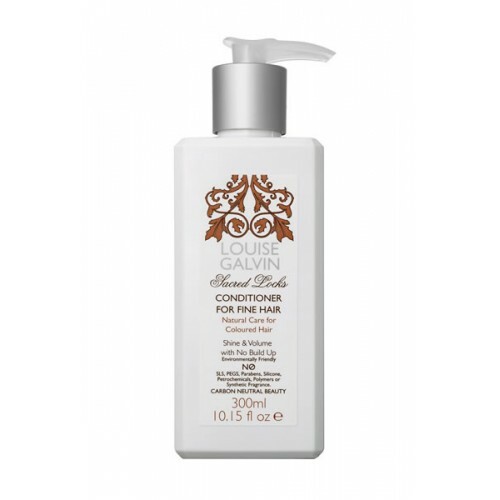 Natural conditioning agents leave the hair flexible, glossy and tangle-free, with added volume and lasting hydration. Honey derivatives smooth hair cuticles for shine and manageability. Pro Vitamin B5 adds volume to fine hair. Mandarin and yuzu oil add shine and vitality to your hair. To use: After washing hair, apply conditioner to mid-lengths and ends. Comb through and rinse thoroughly. Aqua (Water), Cetearyl alcohol, Glycerin, Hydroxypropyltrimonium Honey, Hydrolysed Wheat Protein, Behentrimonium Chloride, Citus Paradisi, Citrus Limonum, Citrus Reticulata, Cymbopogon Martini, Pelargonium Odoratissimum, Tagetes Glandulifera, Citrus Junos, Ferula Species, Citrus Grandis, Limonene, Tocopheryl acetate, Glyceryl stearate, Hydrolised Soy Protein, Hydrolised Corn Protein, Citric acid, Panthenol and Tocopherol, Citral, Geraniol, Linalool, Citronellol.